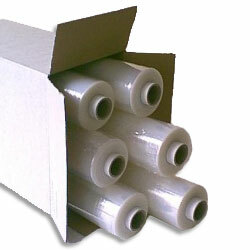 Blown pallet wrap is the most popular general purpose tacky pallet wrap . The extended core sizes can be used without the need for a hand pallet wrap dispenser. Simply hold the extended cores while wrapping the pallet or items.